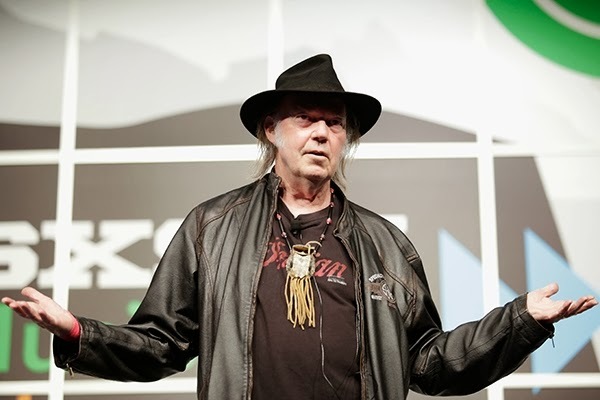 At 11:00 p.m. EST Tuesday night, less than 10 hours after launching a Kickstarter page to raise money for his new digital music service PonoMusic and its accompanying player, Neil Young surpassed his goal of $800,000. Young and the PonoMusic team had set an expiration date of Tuesday, April 15th to raise the necessary funds. Per Kickstarter rules, project organizers keep any funds raised past the required amount. As Kickstarter notes on their FAQ, "Most of the time what seems like 'extra' money isn’t extra at all. Ten times the funding often means 10 times the backers. More rewards have to be produced and distributed, and creators need that funding to do it (and sometimes some of their own money too). "Sometimes when a project is overfunded it lets the creator put that money back into the project to create something better for the backers and themselves. More songs on an album, additional game elements, better materials, etc. In other cases, overfunding leads to better margins and the creator may even profit from the project. This often also means that the creator can continue the project beyond Kickstarter and backers are part of that story." Young offered multiple rewards for financial contributions, including a "VIP Dinner & Listening Party" with the singer and limited edition Pono players signed by Arcade Fire, Pearl Jam, Beck, Foo Fighters and others. All 500 Limited Edition players with Young's signature laser-engraved on the device were sold for a minimum of $400 each. The singer reached out to many of his musician peers for a testimonial video that accompanied the Kickstarter page. Bruce Springsteen, Eddie Vedder, David Crosby, James Taylor, Tom Petty, Sting and a slew of other musical icons provided glowing recommendations for the service. The player, which has a suggested retail price of $399, will contain 128 gigabytes of memory, which can store between 1,000 and 2,000 high-resolution songs, depending on the resolution and length of the recording. The device will also accept memory cards, which can hold more music and playlists.